Most businesses have a great need for clean and clutter-free images that can highlight their products or subjects. They spend a considerable amount of time and resources, getting clutter-free images to augment their product or service line. Talented photographers end up doing the editing themselves while putting great talent to mediocre use. Imagine a full-fledged editing studio that takes care of all background removal needs and chroma keying requirements and delivers your images in 12 hours turnaround. It's possible at Outsource2india! At Outsource2india (O2I), we offer image editing and chroma keying services to a wide range of industries that include e-commerce websites, real estate companies, and photo studios among others. With multiple delivery centers in different continents, we have the capability to undertake large volumes of work without compromising on quality. We have edited over a million images a month and still growing - offering value added services to photographers and marketers world over. By outsourcing your background removal services to Outsource2india, you gain a partner with an industry experience of more than 20 years, who understands the need for efficient background removal services to highlight your products or subjects. Outsource2india is your partner that can adapt technological tools and best practices to speed up the editing process to get clean & clutter-free, ready-to-market images. 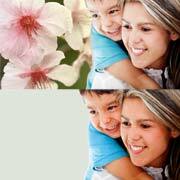 The image editing team at Outsource2india follows a carefully defined process for editing images. During this process, our image editing team uses its years of expertise to check if automation can be designed or applied on the process to speed up the delivery and ensure you get quality images at a lower price. We also provide Background Replacement services to help you alter the background of your images, create a new image or modify an existing image in our one stop studio. Skilled Team - The image editors at O2I have a minimum of 5 years' experience in image editing, with expertise in the latest Adobe Photoshop CS6, Adobe Photoshop CC, and Photoshop Lightroom. With an average output of almost 5 million images per year, our team can efficiently remove the background from your images and present your products or subjects in clear backgrounds. Our image editors are also equipped with high-resolution monitors and can work on both MAC and Windows PCs that enables them produce high quality images. Quality Standards - Our team of Quality Assurance (QA) performs quality checks for every image that is edited and ensures that it meets the client's expected standards. 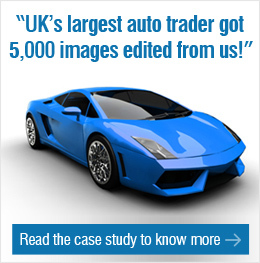 We ensure that all edited images have an accuracy level of more than 98%. Data Security - We utilize secured VPN and FTP for all file transfers, maintain backups of all source files and edited files, and sign confidentiality agreements with all clients to ensure strict data and security for your project. We ensure that only authorized personnel have access to your files. Swift Delivery - Our multiple delivery centers help us in swift delivery of your projects. Our general turnaround time is 24 hours to 48 hours. However, this is subject to change depending on the scope and complexity of your project. We can also provide overnight turnaround if required. You can send the images at the end of your working day for editing. Whatever your project needs, Outsource2india will work with you closely to achieve them at the price, quality-level, and timeframe you need to meet your customer expectations. In partnering with Outsource2india you will receive superior image editing and background removal services at affordable prices designed to fit the needs of a wide range of different organizations and individuals. Contact us today to learn more about our image editing services and how our team can ensure your background removal needs are met quickly, efficiently and affordably.